If you thought s’mores couldn’t get any better, try this delicious Peanut Butter and S’more sandwich. Make it in less than 10 minutes using your oven for a sweet after dinner treat! With our summer schedule of play outside, play outside, and play outside some more, dinner time gets pushed back an hour or two. We don’t usually have dessert after dinner, but sometimes we like to end a fun day with a sweet treat. And there’s nothing better than s’mores on a warm summer night. The crispy (or in my case, usually burnt) marshmallow and melted chocolate all held together by graham cracker…I can taste it now. But with a toddler running around, I’m not really keen on the idea of firing up the grill or building a bonfire just to make a few s’mores. So I thought, why not use the oven broiler! We make some in a matter of minutes without the ordeal of building a fire. 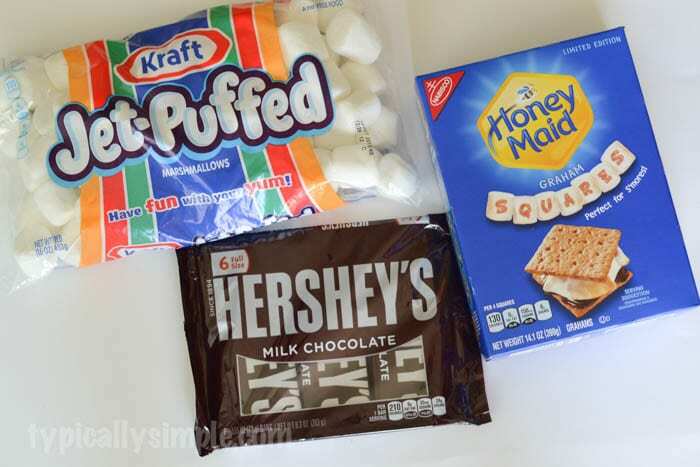 So I gathered up my s’mores making ingredients…plus a secret ingredient! Start by getting the oven ready – I placed the rack as high as it could go and set our broiler on low. 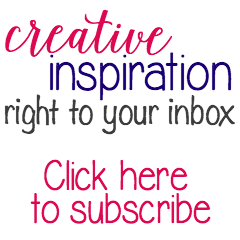 There are so many types of ovens out there, my mom’s oven has a broiler drawer, so you might have to do something a little different. 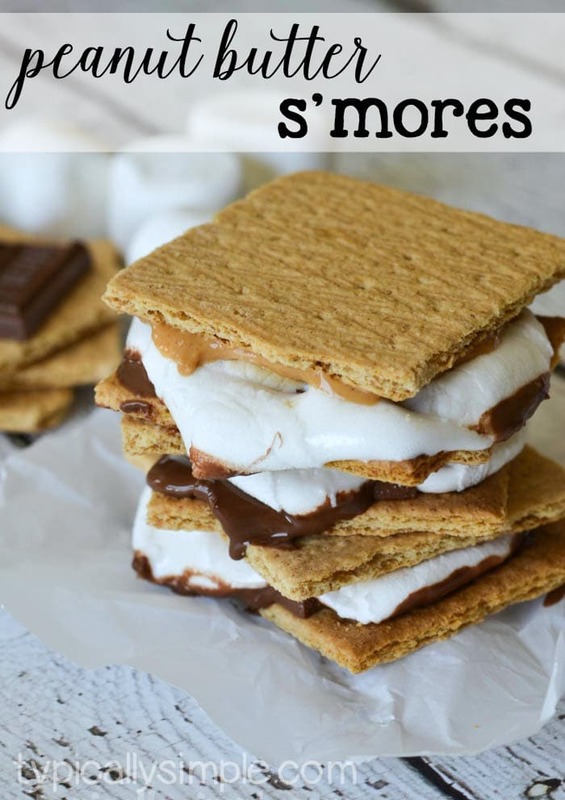 While the broiler is heating up, prepare the s’mores ingredients…and try not to eat too many pieces of chocolate during s’more prep. 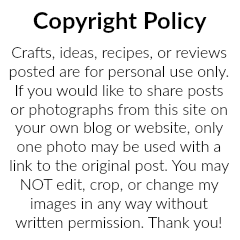 The next time I make these, I will definitely be lining my cookie sheet with tin foil to make clean-up a little bit easier. Place your graham cracker squares on a cookie sheet. Add a square of chocolate, top it with a marshmallow and place it in the oven for about 2-3 minutes. 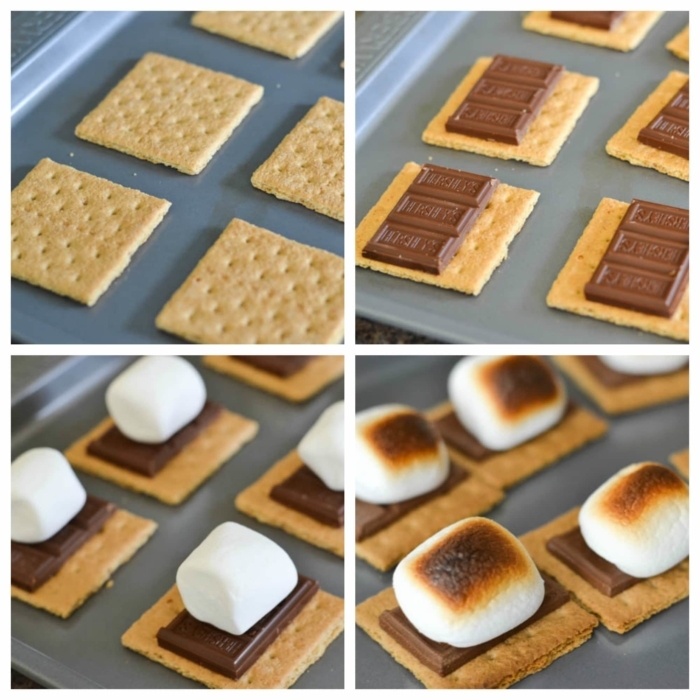 Once the marshmallows look browned and crispy, remove from the oven and get ready to top with another graham cracker. But first, the secret ingredient! 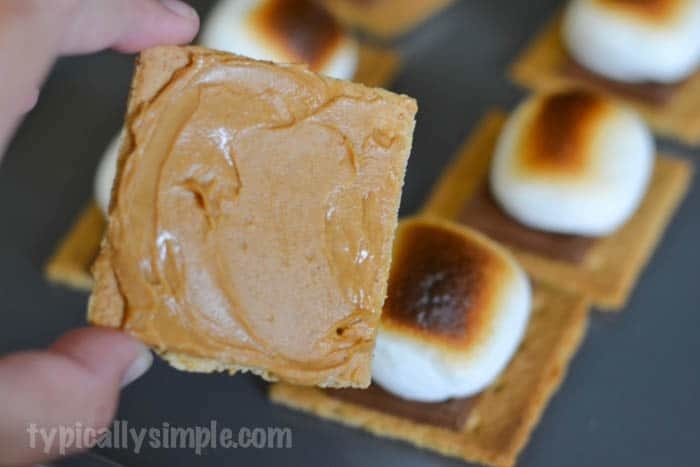 Add a dollop of peanut butter to the second graham cracker before squishing it onto the rest of the s’more. The peanut butter pairs so well with the chocolate, it gives the s’more a little something extra, as if s’mores couldn’t get any more delicious! 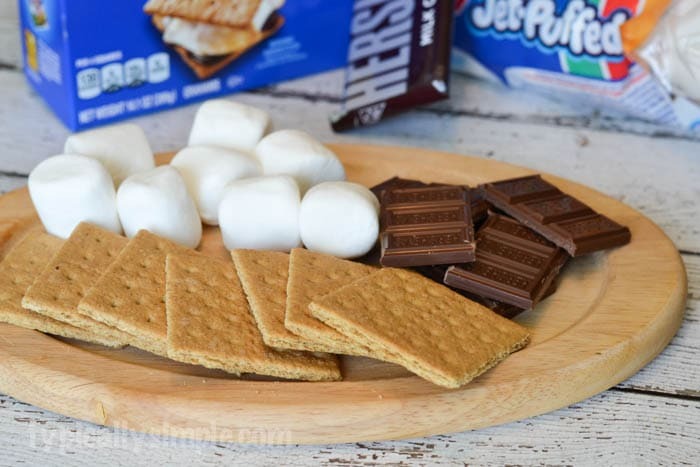 You don’t always need a campfire to make s’mores and these are perfect for a weeknight treat. Any day can be a s’mores day! 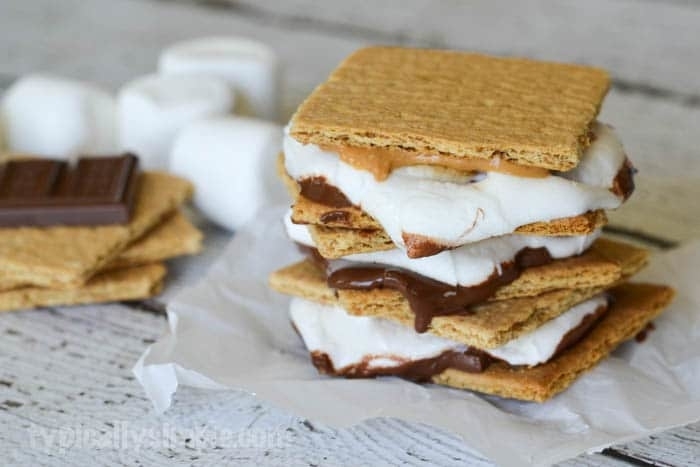 What is your favorite way to enjoy s’mores? Do you have any secret ingredients you add to give the classic s’mores a twist? 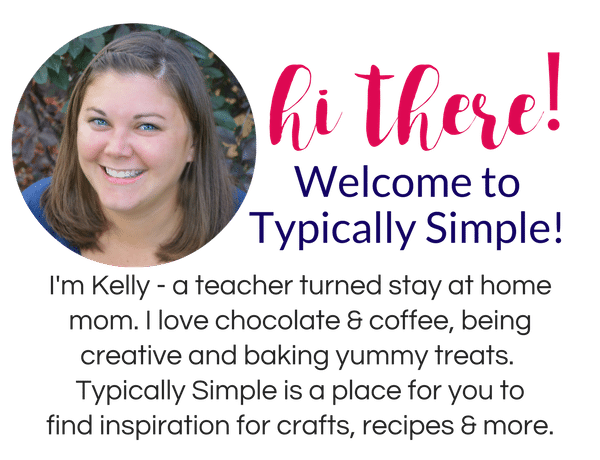 This post was originally published on Typically Simple in June 2015.